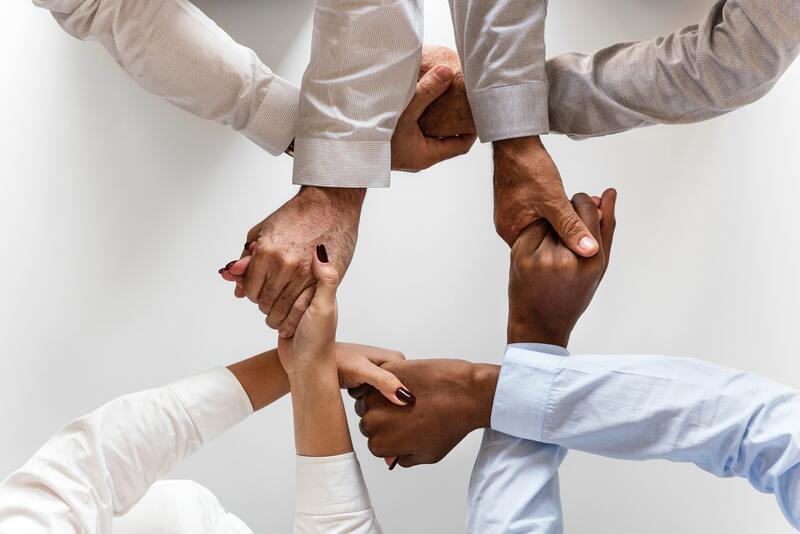 Cross-Functional Collaboration happens when team members from different departments / business units join forces on a project or contribute to a common process. It is when a group of individuals with different skill sets comes together to achieve a common goal. Your cross-functional team can be made up of people from all levels and areas of your organization; if their skills are relevant to achieve the goal, they are a welcome addition. This type of collaboration, when done correctly, can lead to higher levels of innovation, creativity, and achievement. So, how can your marketing team benefit from such a setup? You can build an all-star team that supercharges your (social media) marketing strategy & execution. In this guide, we are going to look at how you can leverage cross-functional collaboration to build a more accurate, well-rounded and effective brand on social media. A product team member is your real-time connection to the product. Note: “product” in this case means anything your company sells. Cross-functional collaboration can be used no matter what your end-product is. Having a product team member on board also enables you to quickly and efficiently handle product queries. Another way to handle this would be to give them direct access to your social media accounts. You can achieve this by creating a unique login for each of your accounts, or by using a social media management tool where you can do it all from one easy-to-use dashboard. It is not unusual for different teams to have different goals. Having a bias towards a team’s goal can cause friction and hamstring opportunities for innovations. To combat this, we recommend establishing a well-defined common goal for this (cross functional) collaboration that both teams can work towards, independent of their current goals. For example, instead of trying to get the product team to adopt your social media goals, create a standalone goal like, “create 10 pieces of visual product-focused content each month”. A sales team member is your direct connection to your organization’s customers. They provide you with from-the-field feedback. You share sales queries and new leads with them. The feedback they give you can have lots of positive benefits on your social media strategy. The information you need to create accurate customer personas. This can help you to create and curate more targeted social media posts. A deeper insight into your followers’ wants, needs, and desires. Meaning you can add emotional triggers to your content that improve your reach. Exact phrases used by your customers to use in your copywriting. This is a powerfultechnique used to create compelling online content. Testimonials to use in your updates. Customer-driven stories can increase social proof, and lead to more effective brand storytelling. Qualitative data about customers who were influenced by social media, and insights about what aspects were most effective or persuasive. On the flip side, you can provide them with a stream of leads they would not otherwise be able to find. For example, if you receive social media messages about sales (or even sales objections), you can flag them and pass them on to your sales teams. The marketing and sales team are working towards the same goal; you both want more people to buy your product. Friction between these two teams often comes when you get into the nitty-gritty of implementation. Sales team members often want to take an income-based approach to ROI, while marketers will use other metrics to measure the impact of a social media strategy. For cross-functional collaboration to succeed, it is important that both teams are educated on the current goals, tasks, and expectations of each team. And, you focus on areas where you can help each other the most. When it comes to legal matters, it is better to prevent than cure them. A legal team member helps you to anticipate and mitigate potential risks well in advance. Cross-functional collaboration with the legal team is usually done in the review and approvalstage of your social media workflow. It is best practice to ensure the legal team has seen, reviewed and approved all your updates before they go live on any of your social channels. This is true for all brands & businesses, and even more so for public companies — don’t you agree, Elon? Because your updates need to be reviewed and approved, the legal team can often become a bottleneck in your scheduling process. An HR team member can help you to build a strong employer brand. When done correctly, cross-functional collaboration with your human resources team can contribute to attracting top talent to your company. The ins and outs of employer branding are a little beyond the scope of this article. So, we do recommend you take a look at your definitive guide to employer branding here. Your approach to employer branding will dictate how you collaborate. If you plan to create a standalone employer branding channel with its own platform, then you will likely want the HR team to be involved at every stage of the process. HR and marketing are two inherently different divisions. This means there will be terminology, jargon and even world views that create misunderstandings. When entering into collaborations, it is worth taking the time to understand the other team’s current tasks, job roles, and jargon to avoid any “culture clash”. It can also be effective to collaborate with different marketing teams within your organization. Let’s say you work for Nike, and your division handles the marketing for running apparel. Sports: Football, baseball, basketball, soccer, etc. Events: Conventions, sponsored marathons, online events, etc. To create an innovative marketing strategy across the brand. Likewise, you could also develop a marketing team from the different styles of marketing to develop a broader marketing strategy. Who all have different perspectives and data-points driving their decision making and campaigns. The driving force behind this type of cross-functional collaboration is communication between departments. After all, a siloed marketing team is constantly fighting an uphill battle. When you can get members of different teams to share, generate ideas and inspire each other, you can improve your efforts on all channels. It can be hard to convince other departments to take on more projects. The final type of cross-functional collaboration we want to discuss is with an agency that behaves as part of your in-house team. Are outsourced to a third-party agency. Collaboration between your two teams, then, is essential to alleviate these symptoms. An agency will already have a well-established was of operating. Their systems, processes, and even tools will be well-engrained and even habitual. This makes it important to start new collaborations at a place that is easily accessible and manageable for both teams. Cross-functional collaboration has lots of benefits to your organization. When you remove silos and open communication, you are able to create a positive culture around innovation and creativity. There may be challenges along the way, but the end result for both you and your customer will be — much — better over the long term. “”One of the most effective ways to build your team up is through purposeful collaboration.” Inspiring words about group unity and how business leaders achieve it.